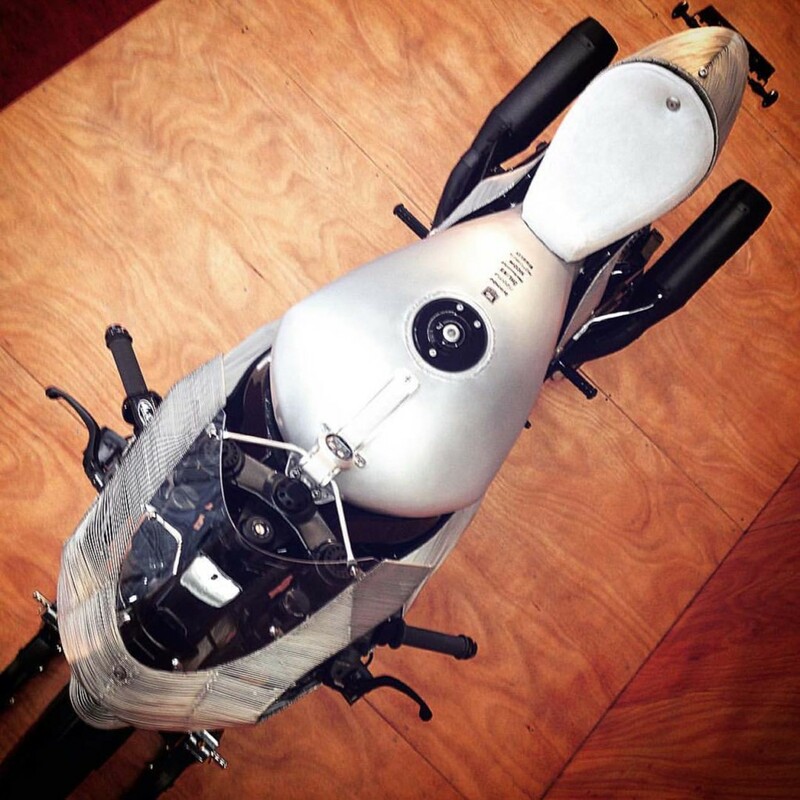 Take a look at the most unique Honda RC-51 you have ever seen. 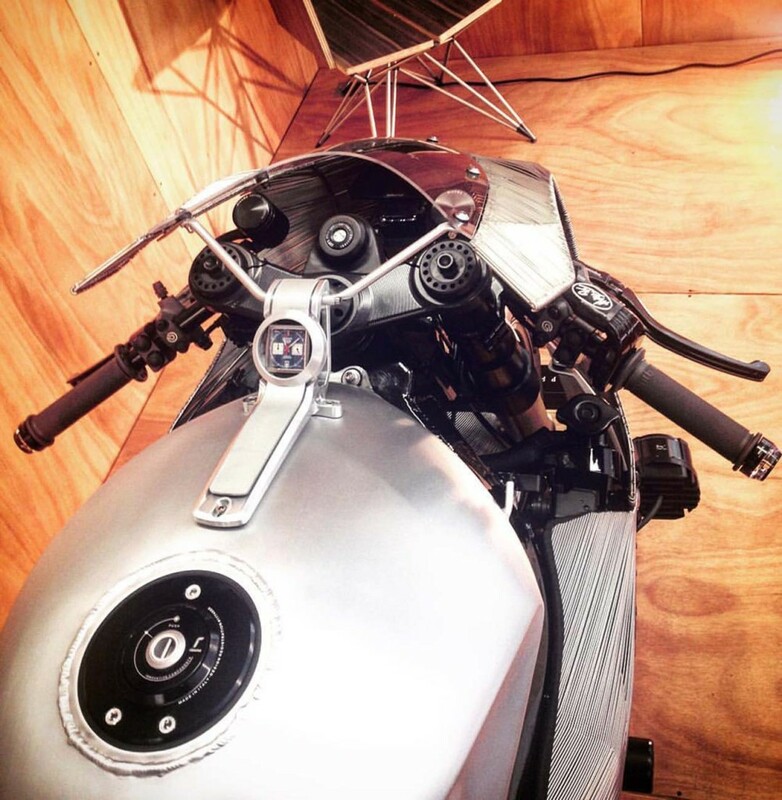 In fact, this particular bike used to be a Honda VTR1000SP1– though it has gotten more than a once-over by the crafty hands at French upstart Praëm. 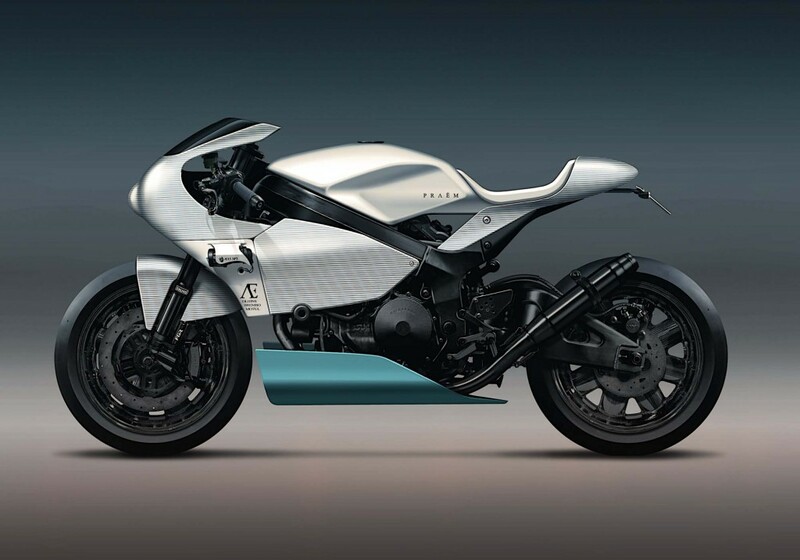 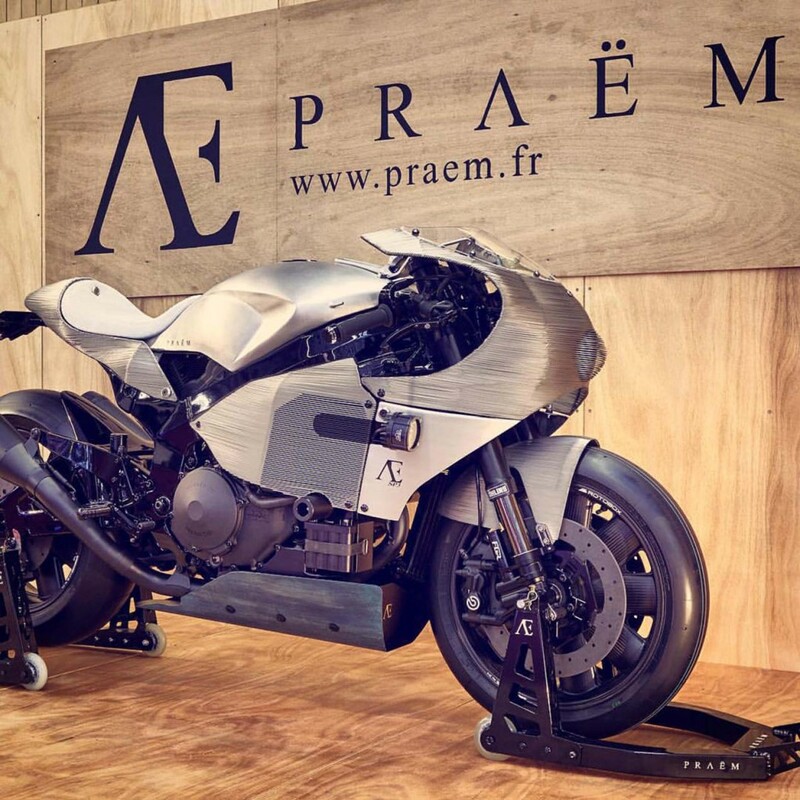 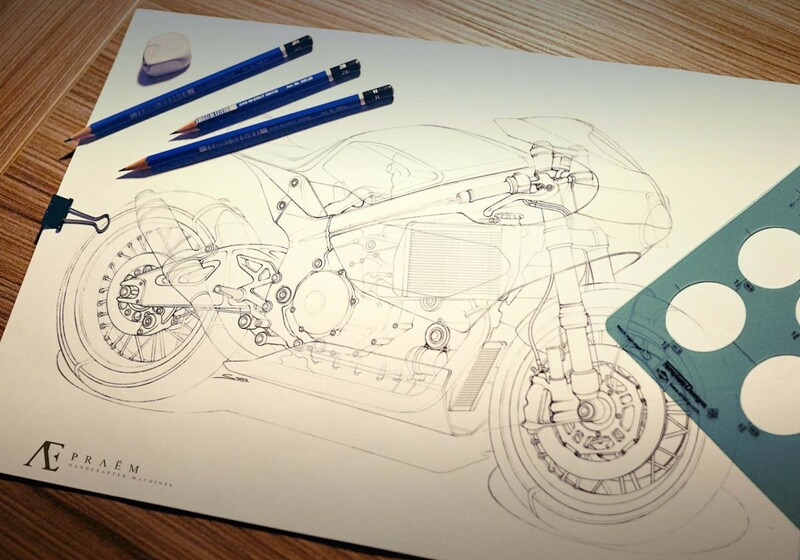 The Praëm SP3 is the product of Sylvain & Florent Berneron, two talented minds with backgrounds as BMW Motorrad designers and studies in aeronautics and mechanics. 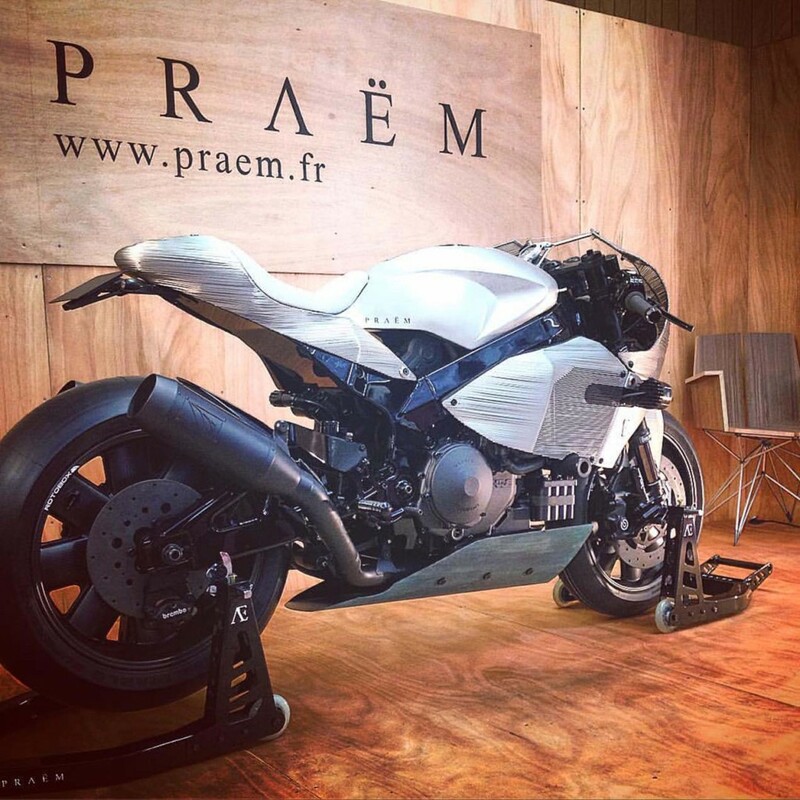 The Praëm SP3 features Öhlins suspension, Rotobox carbon fiber wheels, high performance Brembo brakes and carbon discs, as well as various other high-tech components courtesy of Rizoma. 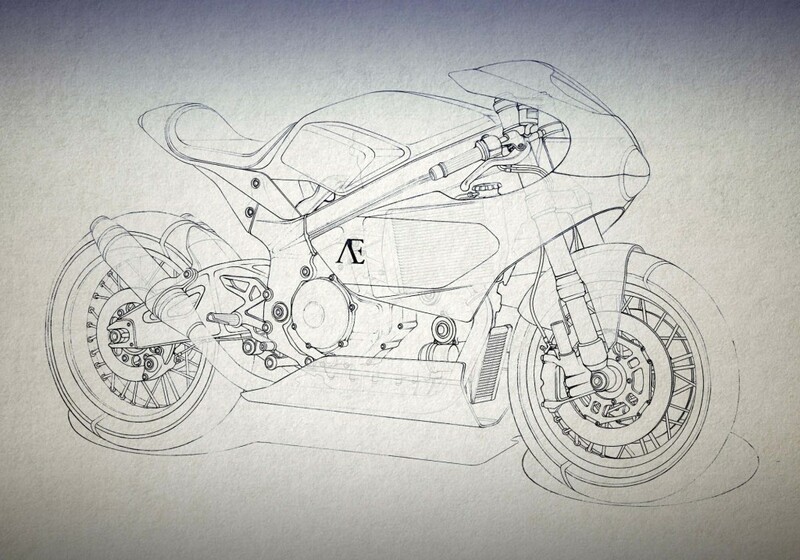 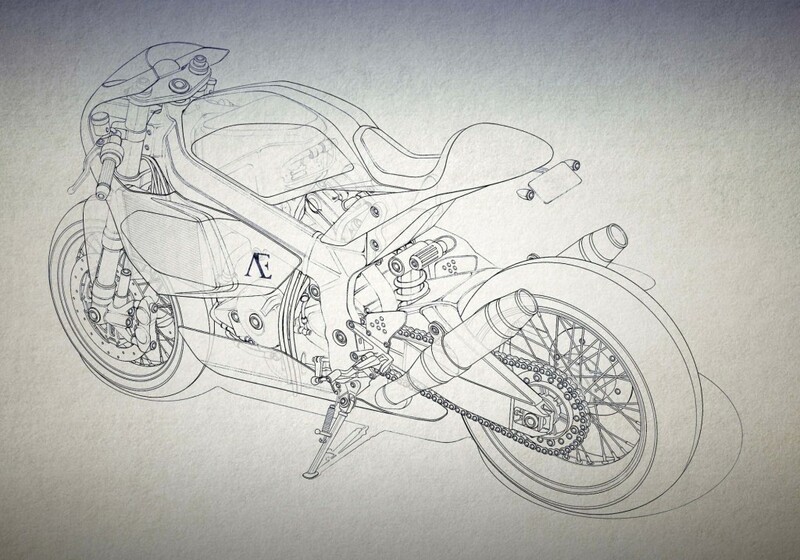 The most interesting design feature is the fact that the bike’s fairings weren’t built from metal sheets, but they’re actually made from a countless number of wires that have been pulled taught over a backing and frame. 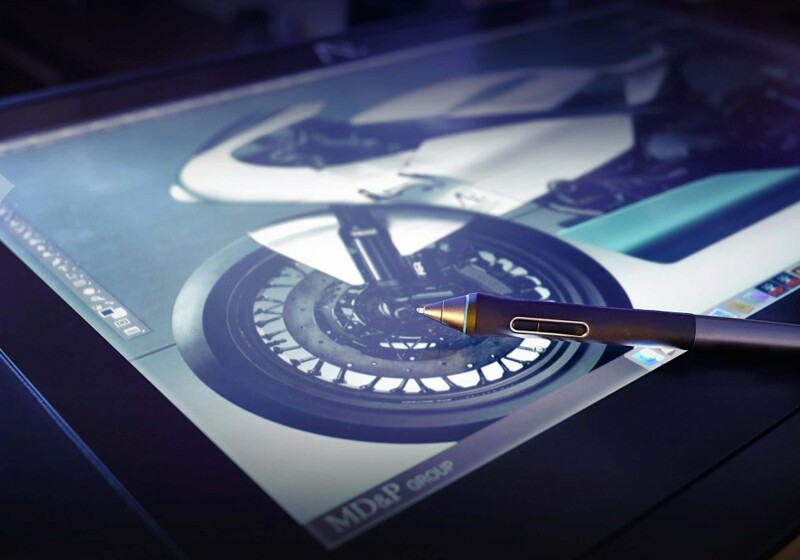 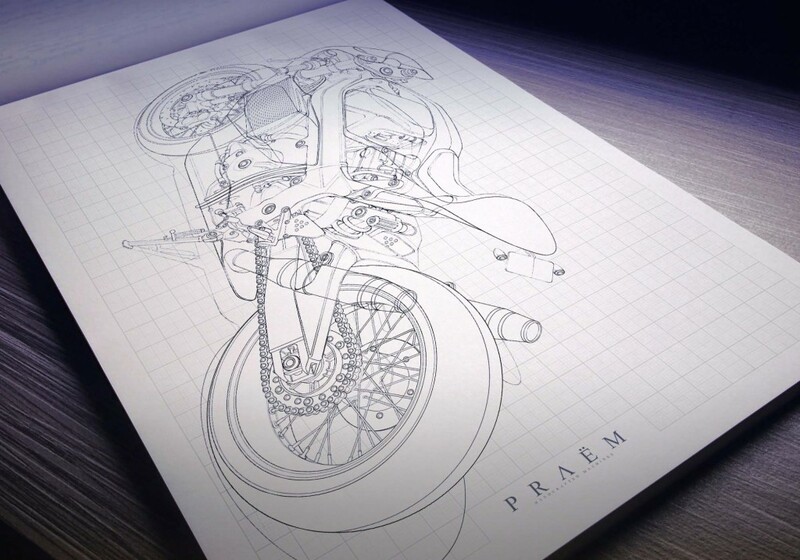 The effect is amazing, with Praëm SP3 looking eye-catching, to say the least. 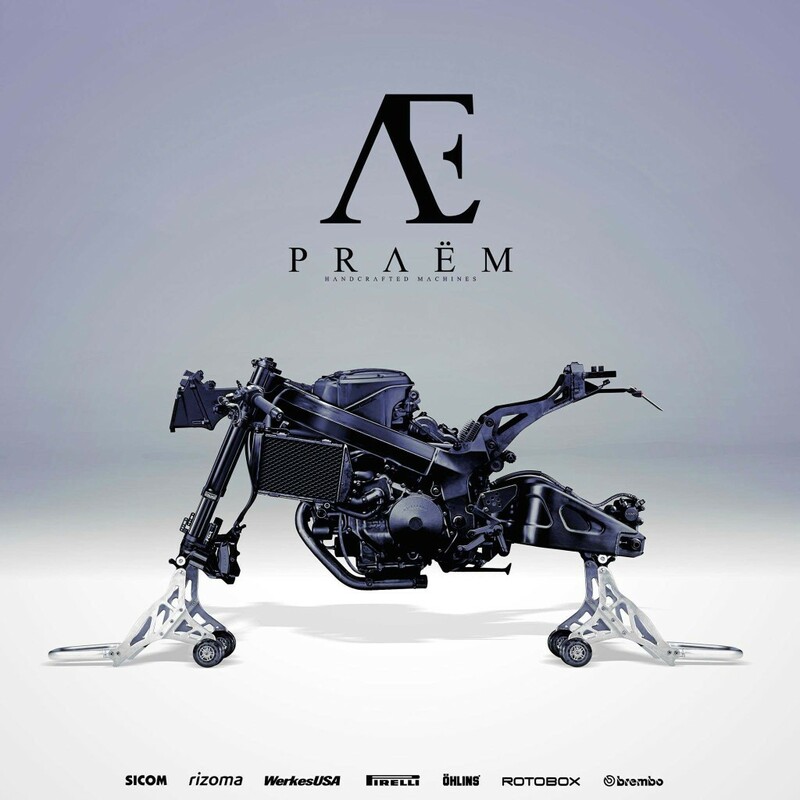 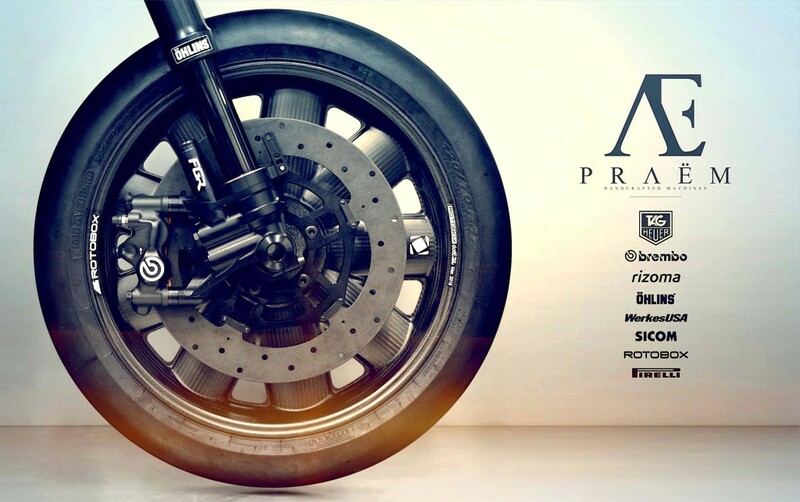 The bike is previewing future models from Praëm, so it’s definitely worth keeping an eye on this talented team.